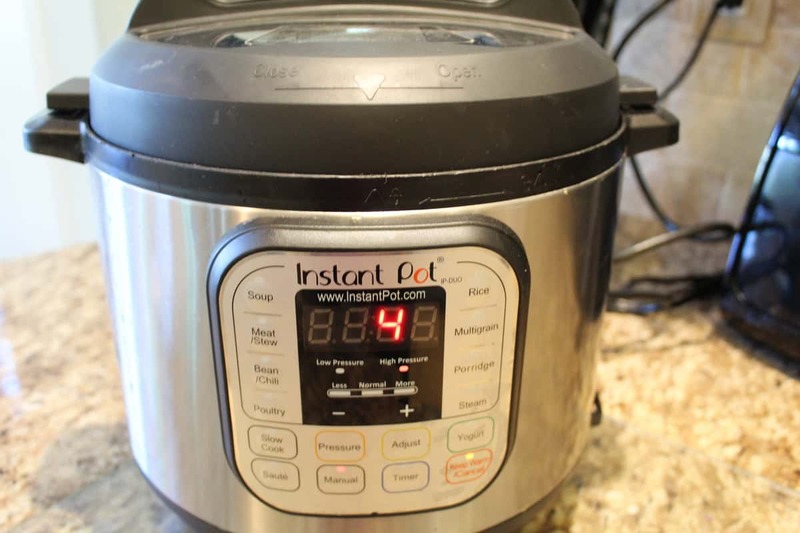 Add 2 cups of water to your Instant Pot, then add the trivet. 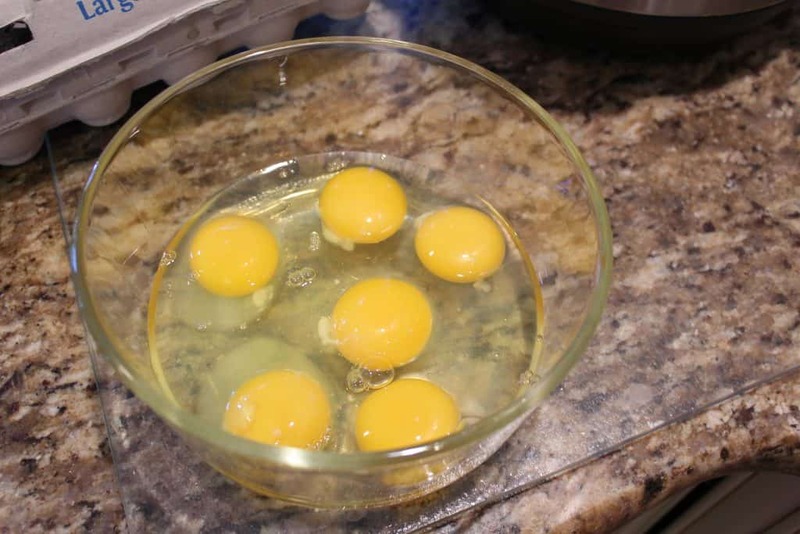 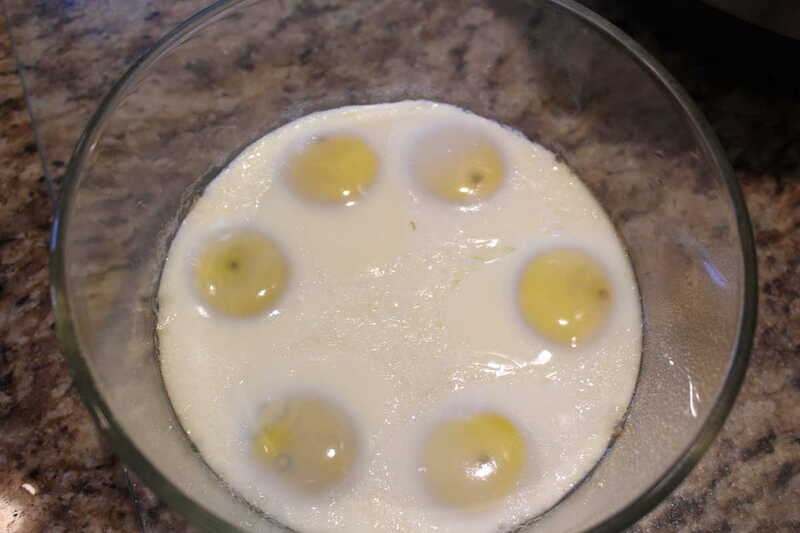 In an Instant Pot safe bowl, spray it with non-stick cooking spray and then add 6 eggs into it. 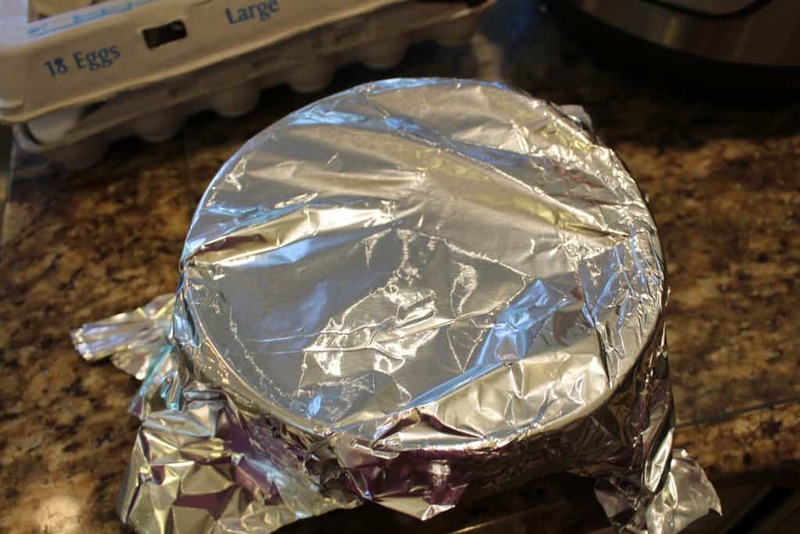 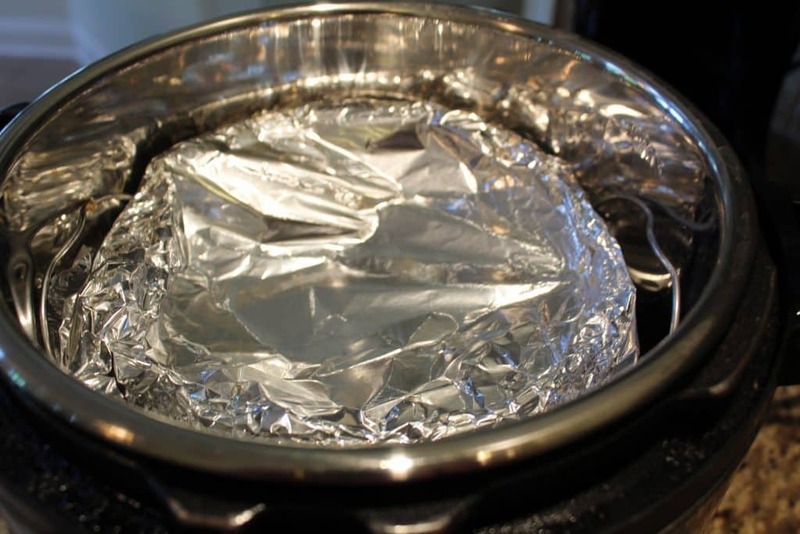 Then cover the bowl with foil, set your manual high temperature for 4 minutes. 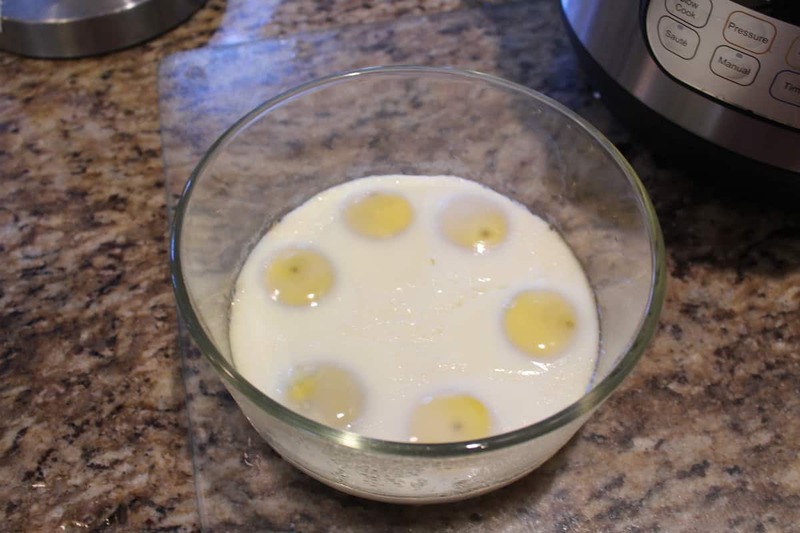 When it's done, let it naturally release. Then just put it on the cutting board and chop it up. 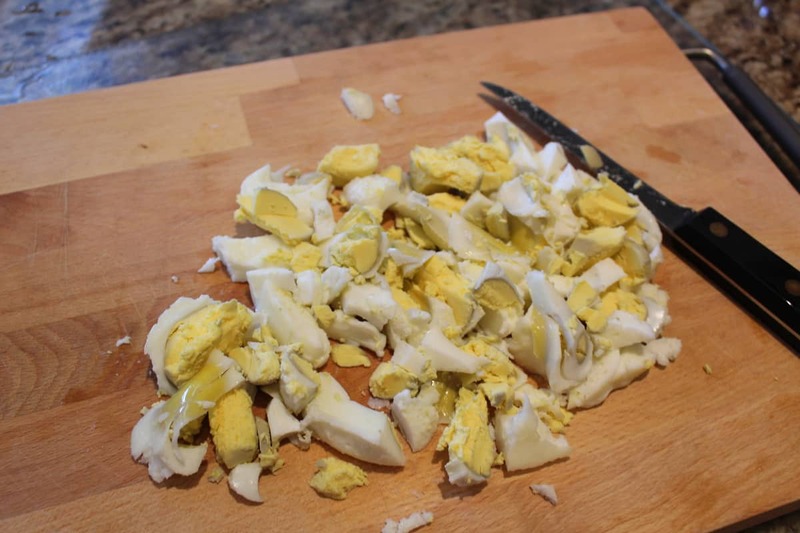 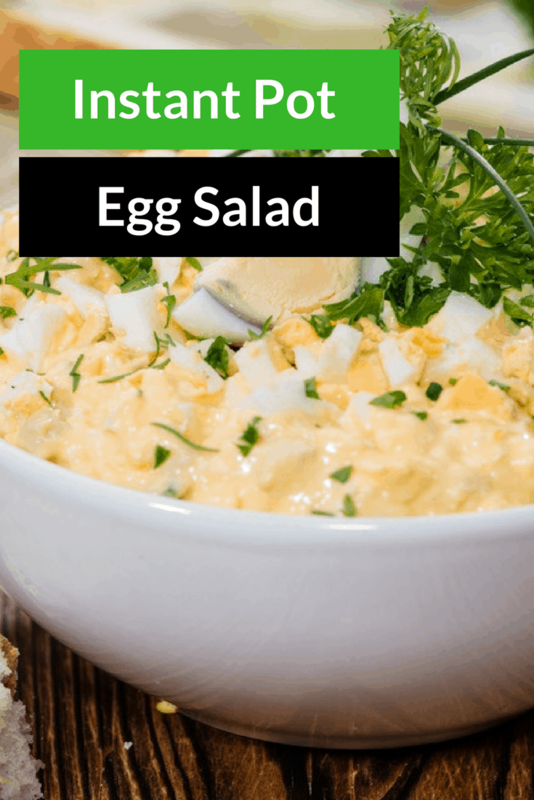 It's now ready for you to make an egg salad sandwich.